U.S. China critics are celebrating their recent victory – the Trump administration’s cancellation of the participation of U.S. warships and senior military officials in a multinational Naval Review to be hosted by China. While only symbolic, this is a clear victory for U.S. China hardliners. 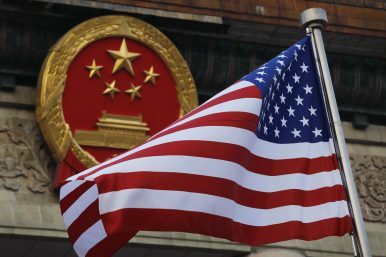 They have long been clamoring for tougher actions by the Trump administration against China and it appears they have finally gotten their wish. Indeed, this public snub probably marks a significant downward inflection in U.S.-China military relations for the remainder of the Trump administration. Moreover, it may presage more dangerous U.S.-China military interactions. The U.S. decision not to attend the Naval Review may be counterproductive. China is expected to showcase its new nuclear-powered ballistic missile submarines there. By not participating, the United States foregoes the opportunity to both selectively show off its more advanced capabilities to intimidate potential opponents — including the host — and to detect close up their weaknesses. This is clearly a case of “cutting off your nose to spite your face.” But there are likely to be more such instances as this more confrontational Trumpian China policy moves forward. Mark J. Valencia is an Adjunct Senior Scholar at the National Institute for South China Sea Studies in Haikou, China.